Attorney General William Barr still hasn’t given any indication as to how much or little of the Robert Mueller report he plans to share with Congress, and by extension, with the public. 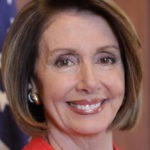 That said, Speaker of the House Nancy Pelosi held a meeting with the Democratic Caucus this afternoon, and then publicly demanded that Barr turn over more than he’s planning to turn over. If you take this all at face value, you might be tempted to conclude that William Barr has decided to give Congress virtually nothing, and that Nancy Pelosi is putting her foot down as a result. But if you think it through, you realize Pelosi has no idea how much Barr is planning to give her. She’s simply announcing that whatever it is, it’s not going to be enough. This is, of course, how leverage works in politics. Even as Barr is sifting through the Mueller report right now and trying to decide what to greenlight and what to bury, Pelosi is ratcheting up the public pressure on Barr to greenlight as much of it as possible. However much or little he was going to turn over, he’ll probably end up turning over more than that, as a result of the pressure that Pelosi is placing on him. There’s no way the entire Robert Mueller report will be made public if it contains classified information, or evidence that’s still being used in ongoing criminal cases. But the more Nancy Pelosi publicly goads William Barr today, the closer she’s likely to come to getting Barr to release as much of the Mueller report as is realistically possible. Pelosi understands that these kinds of things are 90% leverage, and she also understands that because the public overwhelmingly wants to see this report, she can use public pressure as leverage accordingly.